Thanks to Clueless, we learned that Azzedine Alaïa is a totally important designer, so much so that when it comes to being held at gunpoint and you're asked to lay down on the concrete, it takes a second to think about it. 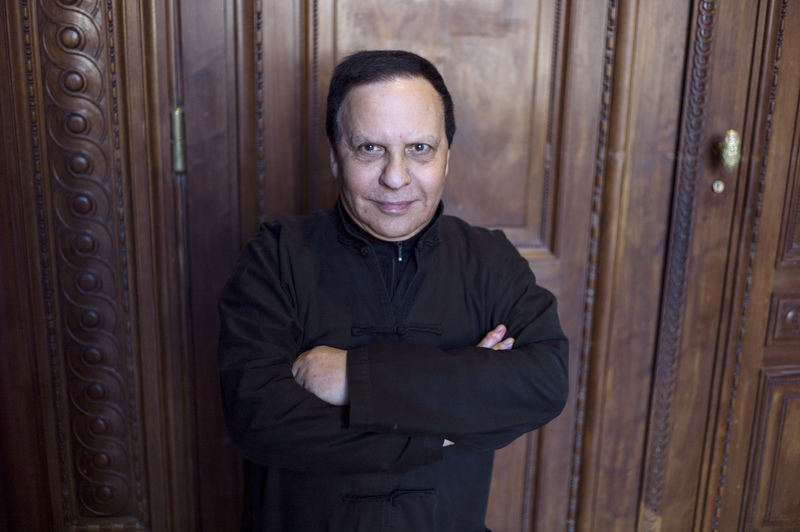 In addition to his famous dresses and footwear, the talented designer reportedly has a new trick up his sleeve: Azzedine Alaïa has launched a perfume! According to The Cut, New York Times' Vanessa Friedman, an avid wearer of Mr. Alaïa herself, reported that he's creating his first fragrance, named Alaïa Paris and Beauté Prestige International will license the fragrance. "Creating a perfume is to confide in a woman, to steal her thoughts of tomorrow and run away with her before she ever looks back...Creating a perfume is also knowing that, at that precise instant, the words I use to recount my secret already no longer belong to me...My perfume is not reasonable—it makes time lie. I dreamed of it like an archaeologist dreams of sculptures from antiquity lying at the bottom of the sea for millennia, sculptures of perfect bodies, matched only by the women of today—an ideal and timeless beauty." And we can always count on Alaïa for an age-defying classic. According to MimiFroufrou, there are four other scents: Alaïa Paris New York, Milan, Paris, and London, all in pastel bottles. Perfumer Olivier Cresp, the mastermind behind D&G Light Blue, concocted the scent, according to MimiFroufrou. And, inspiration behind the perfume was apparently the freshness Perrier water! Who would've thought. The scent will feature smells of musk, pink pepper, freesia, and peony, according to the Times. Apparently, it's supposed to be akin to "the smell of cold water falling on hot chalk." Can't go wrong with a refreshing scent, and we expect nothing less than perfection from Alaïa.